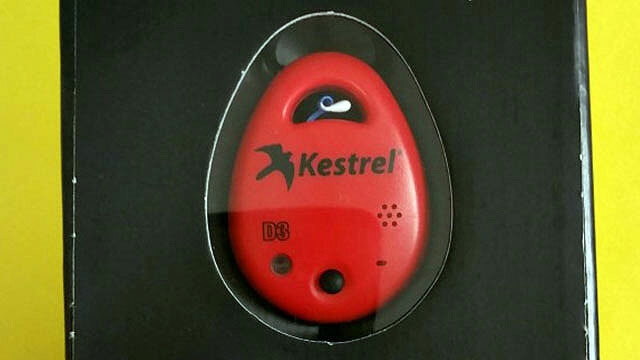 The Kestrel DROP is a small, lightweight and rugged environmental data logger. It's a great tool for people in the storage industry, fun for the camper and useful for hunters and fisherman. Why is that you ask? Well, let's take a look. First off the word "kestrel" is a name of a small falcon that hovers with rapidly beating wings while searching for prey on the ground. So, how does this relate to the DROP? It doesn't, I don't think, but thought I would throw it in the mix for useless trivia. The DROP is so cool! I had fun putting it outside. 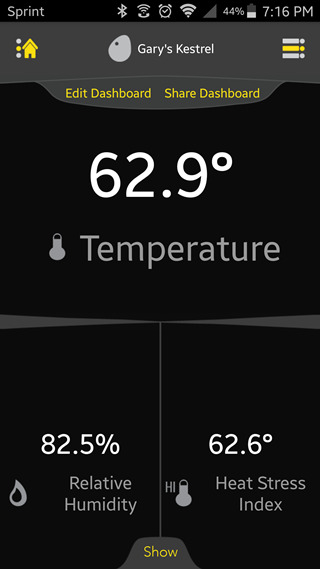 I was able to get the temperature from outside along with humidity and barometric pressure readings for weeks in frigid to warm temps and if I wanted to, it would give a log of daily/hourly readings. I could see this being handy while camping when wanting to get the temperature and humidity readings. It could be used prior to going out on a hunt, or during a hunt to monitor changing conditions. It would also be beneficial if you own a storage warehouse to get readings so items do not get ruined due to high humidity or temperatures. There are just so many uses for the DROP, I can't list them all. I recommend the D2 for hunting, fishing and camping, while the D3 is great for a storage facility or companies needing to monitor and log temperature, humidity, pressure and more for their inventory. The app is easy to download to your iPhone or Android device. Just enable Bluetooth when you turn the DROP on for the first time and then do a search once connected. You can set it so the only time it runs is when you use your app to connect, which will save battery life on the DROP. It has a great easy-to-read interphase. You can setup alerts and readings can be updated as frequently as every 2 seconds. It's a very powerful little monitor or logger for anyone. I have only begun to scratch the surface for its many uses. Who knows, I may even find needs down the road saving myself time and money. Overall, I find the DROP 3 so cool and it does more than I may ever need. If I ever do need to call on its abilities though, I know it will handle the call. Not having fully used the D3, I can't fairly say what I would change. Function wise, there are three to choose from for different needs.